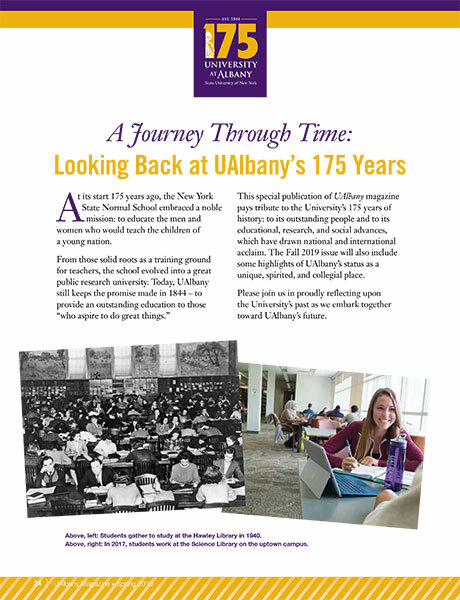 Take a look back as UAlbany observes its 175th anniversary. 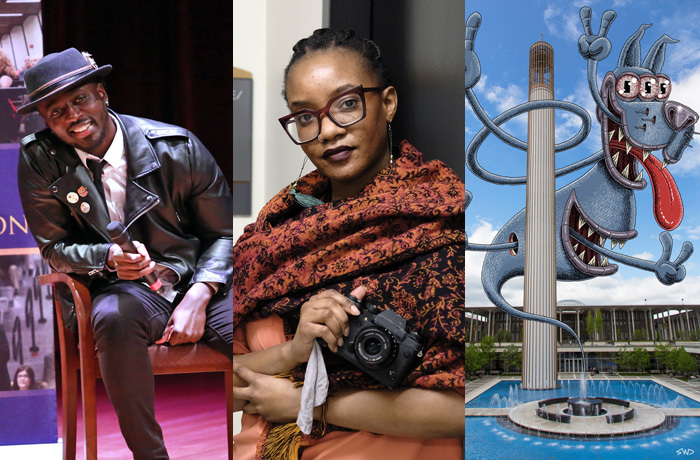 Acclaimed writer Nana Kwame Adjei-Brenyah, B.A.’13; Haitian-American multi-media journalist Melissa “Bunni” Elian, B.A.’10 – and the mischievous Subway Doodle, who graduated with best buddy Ben Rubin, B.F.A.’92 – use their artistic talents to interpret the world around them. 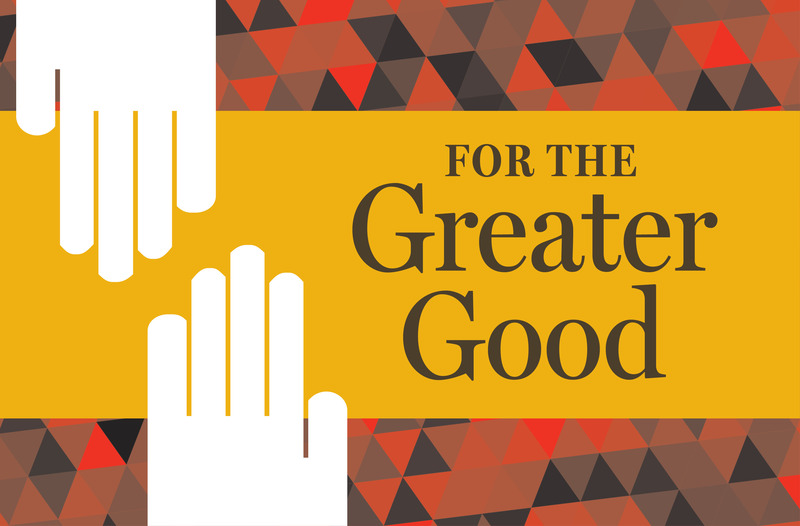 Whether their neighbors in need live across town, around the country, or in distant lands, University at Albany alumni are always ready to extend a helping hand. When Gracie Mercado, B.A. 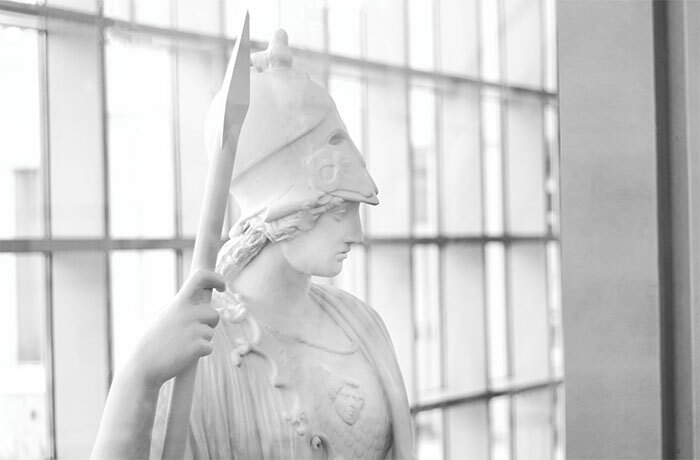 '00, arrived at the University at Albany as a freshman in 1996, she was a young woman who had not experienced a great deal outside of her Bronx neighborhood. 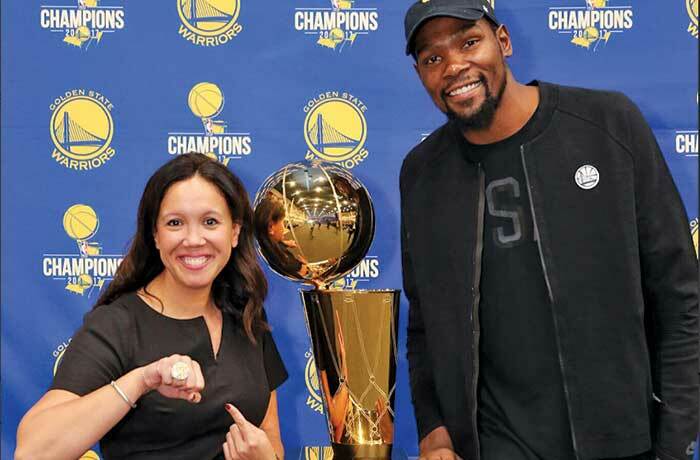 Today, Mercado, vice president of Human Resources for the Golden State Warriors, is responsible for 220 employees on the business side of the basketball team’s operation.  Chris Brennan, B.S. 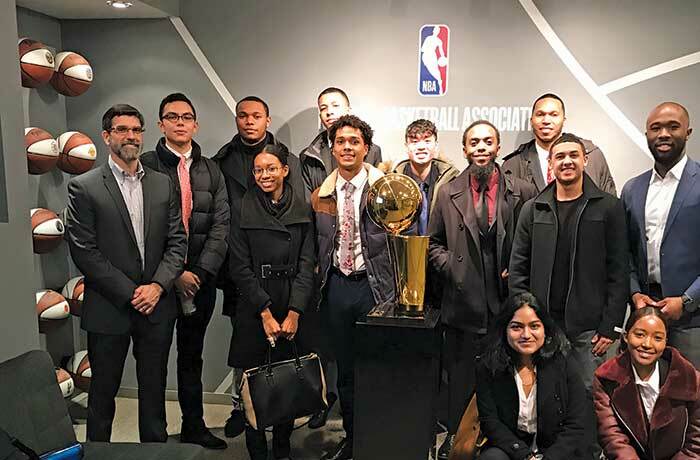 '88, who graduated from UAlbany with a degree in communication and marketing and later earned an M.B.A. from St. John’s University, is senior vice president, overseeing the Retail Partnerships Group at the NBA. 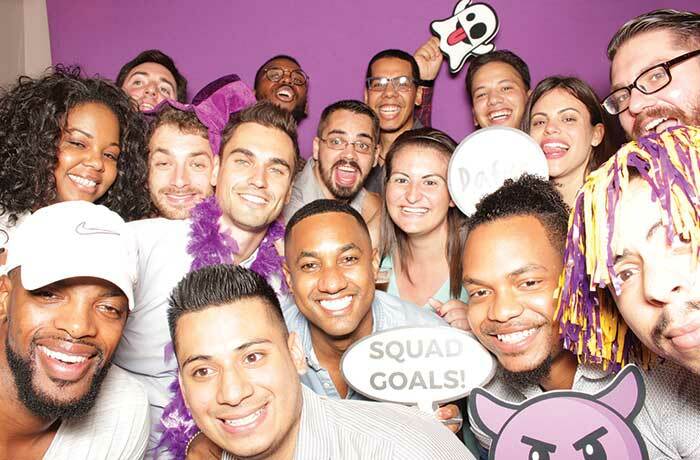 He is responsible for activating and managing the marketing and promotions for all NBA operations and relationships. 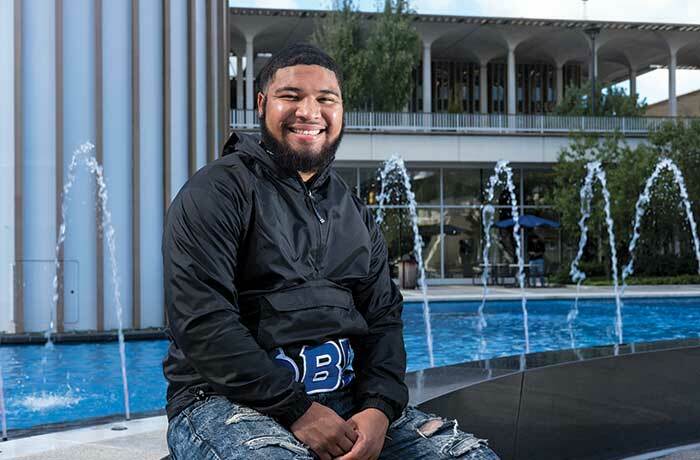 Moises Urena, a former peer leader at the American Sign Language High School in downtown Manhattan, aspires to work in higher education one day. And proudly watching his progress through college is a young fan: his 9-year-old sister, Abbygail. 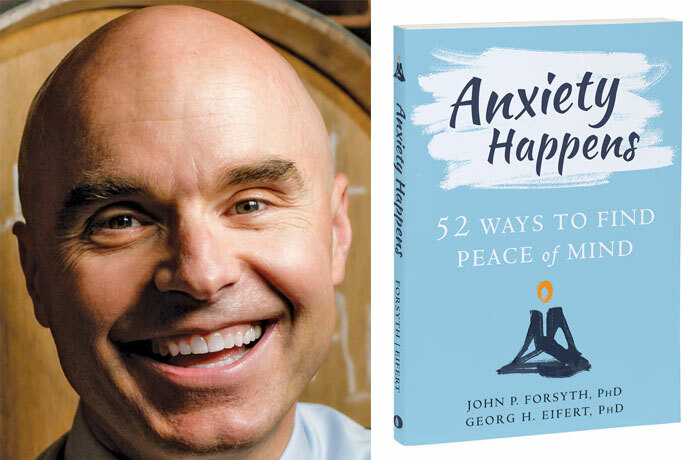 If you’ve ever felt “stuck on autopilot,” UAlbany psychology professor John P. Forsyth, Ph.D., has some advice for you. 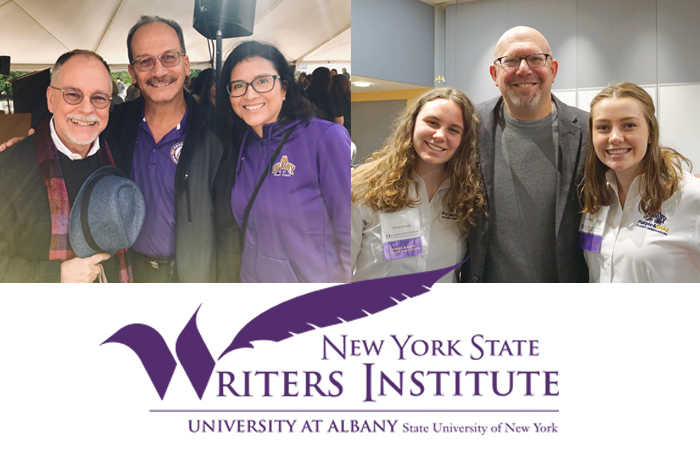 Two renowned UAlbany alumni – one a novelist, the other a screenwriter and producer – will ensure that audiences continue to enjoy New York State Writers Institute programs that bring celebrated writers and films to the Capital Region. 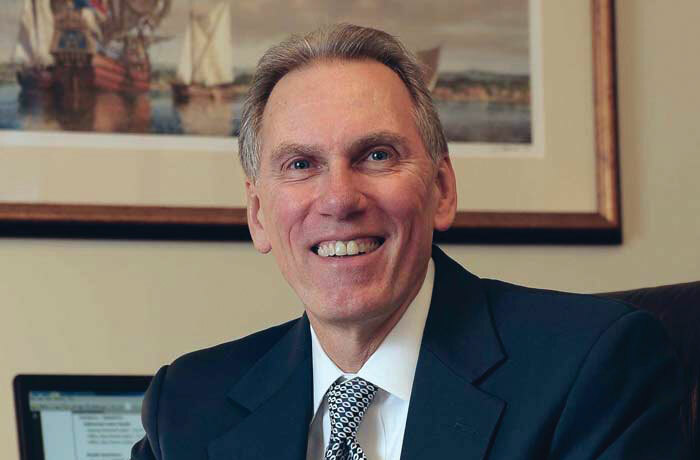 Daniel P. Nolan, B.S. 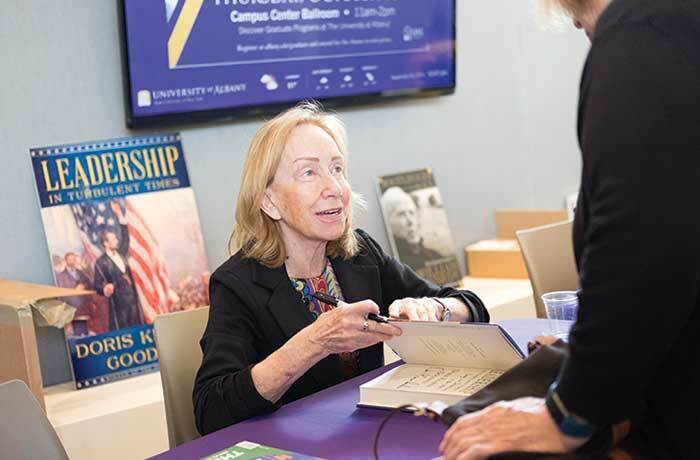 '74 cites “the tremendous success of the University’s programs in basketball, lacrosse, soccer, and other sports” – and the resulting “increased pride of alumni” – as two reasons for making the donation. 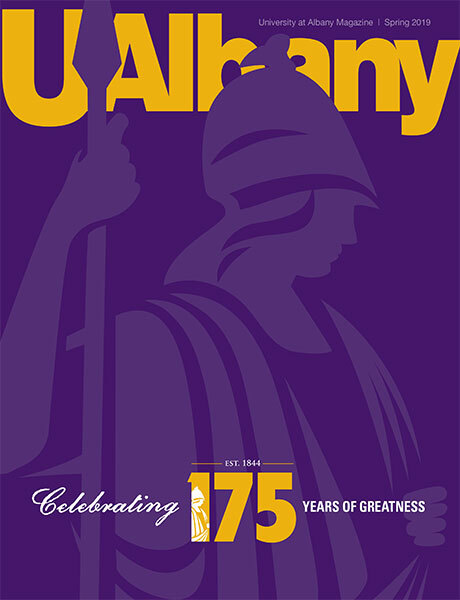 Catch up on the latest news about UAlbany students, faculty, staff and programs. 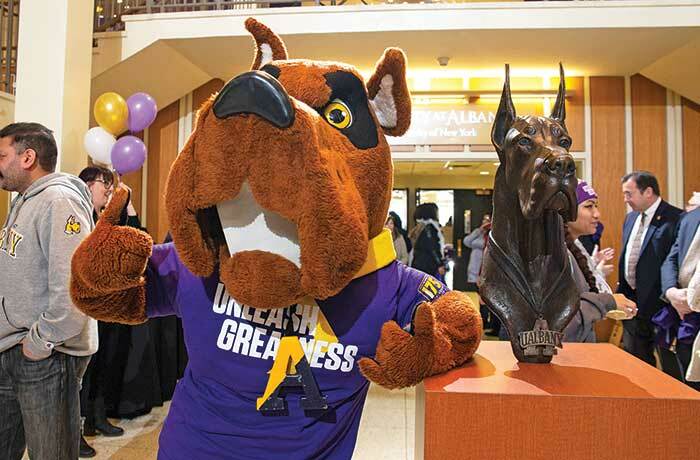 Browse photos of UAlbany alumni at various events on and off campus.